For the one, who doesn’t know Veliki.ua long enough we should mention, that we are highly multifunctional company, that proposes: bicycle rental, repair and maintenance, tours in Kiev and around all the Ukraine, bike ride trainings and even courses at our bicycle mechanics school, we are also ready to organize any bicycle event and, of course, we will help to buy a bicycle and accessories. 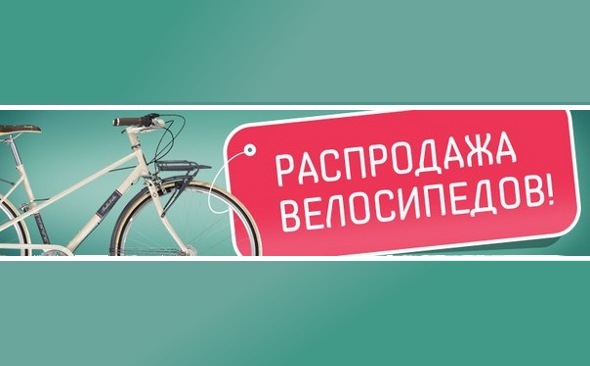 Our network of bicycle rental points has more than 35 points in 14 cities of Ukraine, and the total number of equipment is more than 1000 units. All these facts and years of experience + our professional team, of course - let us organize any bike event. And we would like to mention the latest one - Ukrainian tour for nine Swedish travelers! At the end of June we’ve got a request about a “look around tour” to Poltava from Swedish guy, who had an idea to visit the museum on the territory of a Russian-Swedish battlefield from 1709. Our professional guide has quickly developed a detailed route. He has included all the interesting spots around Poltava and along the whole 340 kilometers to Kiev, booked hotels along the way and even ordered traditional Ukrainian breakfasts\suppers. 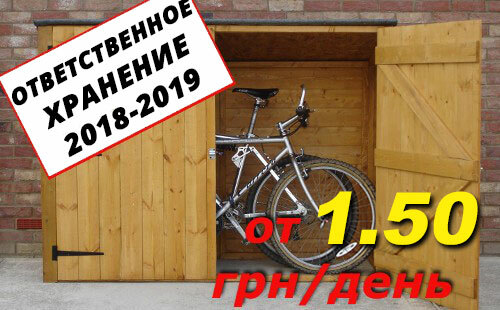 We have also arranged a transfer of ten MTB bikes to Poltava (where our tour had it’s start) and a car of support. Our guests from Sweden have arrived to Kiev two days before the tour start. At the first day in Ukraine they have visited Chernobyl. Right after that - they had a plan to get to Poltava by the train, but all the tickets (for the proper time) were sold out and they had to take a bus ride instead. Which was way better, as far as guys had a chance to see more views of our beautiful country. When we’ve met the group - we found out that they were nine swedish friends from 45 to 60 years old, who’ve made their early August bike trips to different countries EVERY YEAR for already 15 years. Every trip has an aim of getting into the local culture, nature and traditions. This year - they have decided to visit Ukraine, and see the Swedish-Russian battlefield and a historical memorial near it. As it was pre planned - the group has started the trip from “The Historical Museum of Poltava Battle”. The main surprise for the group was the fact that I found Swedish-speaking guide, who has told us a lot of fascinating facts in good Swedish! This little fact has made our day as it’s not a common thing here in Ukraine to know any of “tricky” nordic language :) Thanks to Viktor Myroshnichenko for the great excursion! The first day has also include the visit to “The monument of Glory” established in 1811, dedicated to the memorial date - 100 years after Poltava battle. The group had a chance to honor the memory of their fallen compatriots. As far as we’ve spent a bit more time in the museum than we were planning - to keep to the time table we took a taxi to Myrgorod - the next point on the route. Veliki.ua has a rental point in Myrgorod and our colleague Dmitry - who is a manager of this point - was glad to take us out for a quick tour around the city and showed us a good local place for a dinner. After a little while we were ready to continue our bike tour on our fair bicycles, which took us to the city of Lubny, where we have finished our first day and took a good rest after a long and saturated day. We’ve covered 90 kilometers and saw a lot of beautiful places, so everyone was happy and waiting forward to the upcoming adventures. 2nd and 3d days were less saturated with prominent places but much more dedicated to bikes and ride. On our way we were passing beautiful mais and sunflower fields. The time for a trip was perfect as it was the blooming season and Ukraine met us with the idyll pictures in colours of both Swedish and Ukrainian flags - sky-blue and fiery-yellow. Even extremely bad roads (which are quite common in Ukrainian villages) had no chance to spoil it for us as. We met a lot of sweet and pleasant people, smiling at us and being kind and welcoming. We have covered a distance of 140 kilometers during the second day, and ended it up in the village named Tsibli, near Pereyaslav-Khmelnitsky. The hotel met us with warm shower and VERY delicious dinner, as Ukrainian cuisine is one of the most diverse in the world. We have visited the “Museum of Folk Architecture and Life of Middle Naddnipryanshchyna(The land over the Dnieper)”. We strongly recommend this place as an absolute “Must See” in Ukraine. Right after it we have started our last part of 110 kilometers and made it to Kiev in 6 hours. In the capital of Ukraine we’ve had a quick ride around the most outstanding places, including “Maydan” (Independence square), Postal square, and river banks of Dnieper. At 5 p.m. after a quick rest we’ve been having the good time in Kiev Pub on “Maydan”, where we were talking about the revolution in Ukraine, modern ukrainian history and a lot of other themes. This case shows that our company always gives you MORE than you expect and our main aim is to become good friends and loyal partners to our clients. Have nice ride with Veliki.ua!